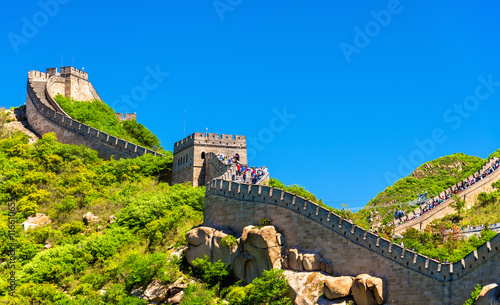 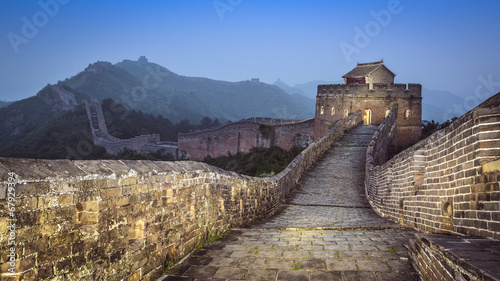 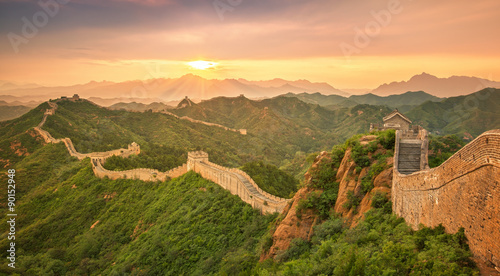 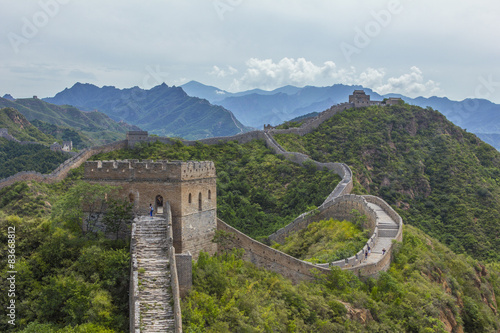 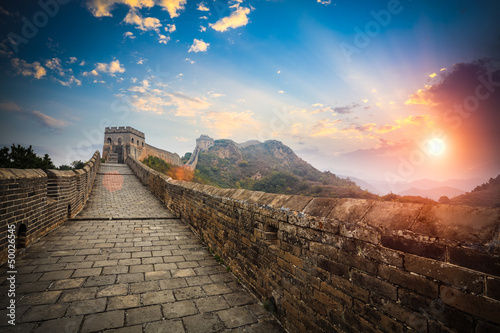 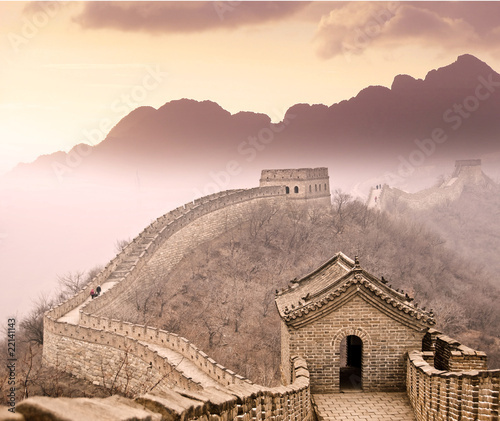 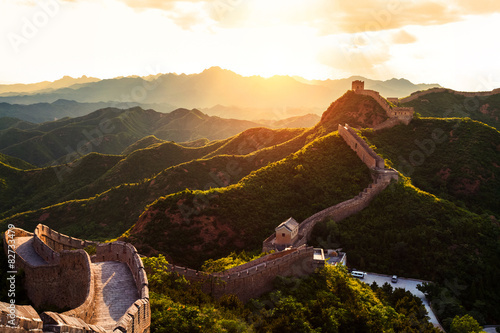 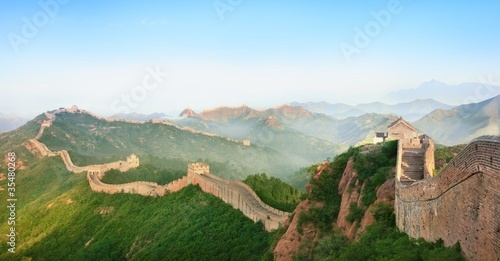 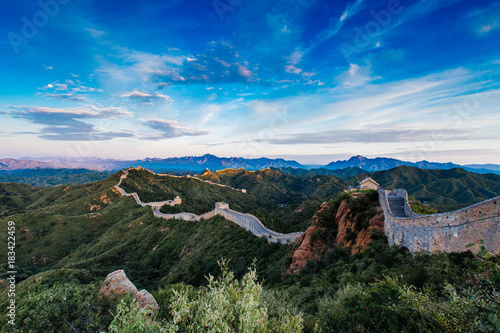 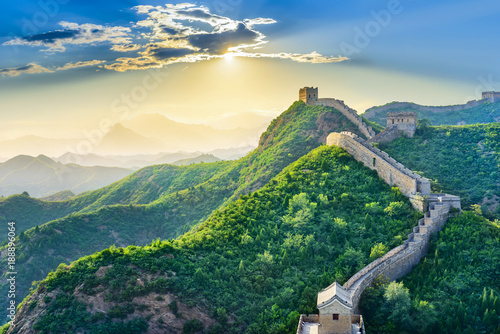 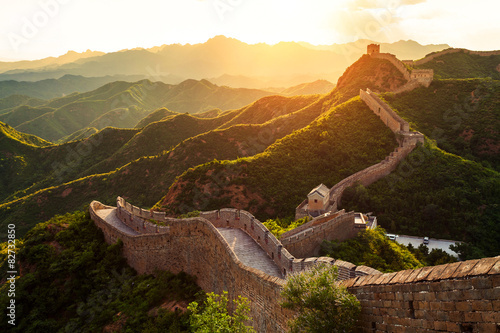 Banner panorama crop of nature landscape of Great wall of china, top tourist attraction worldwide. 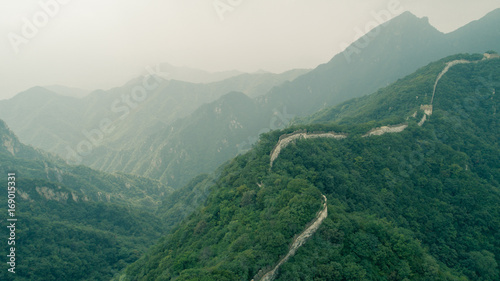 Background for text advertising. 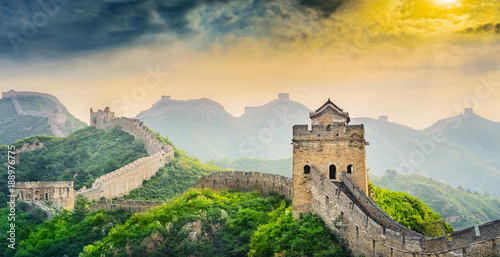 Asia travel destination in Beijing. 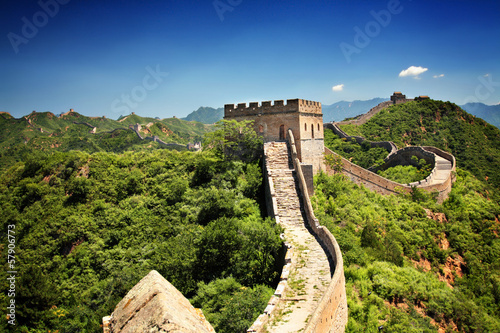 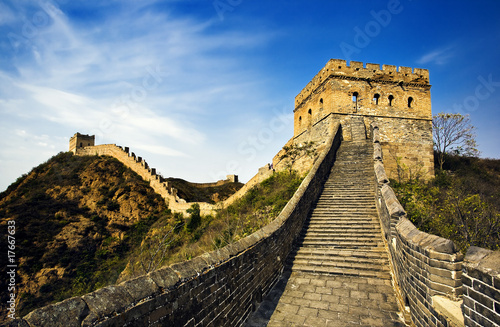 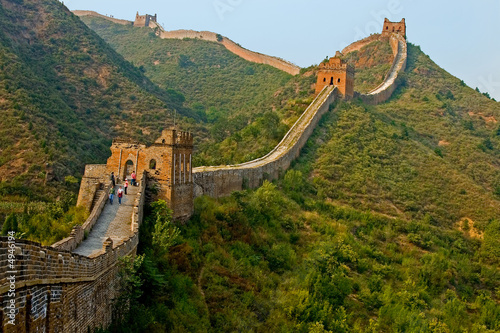 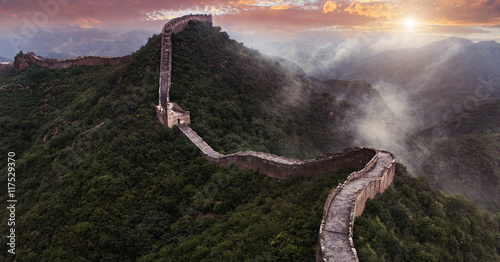 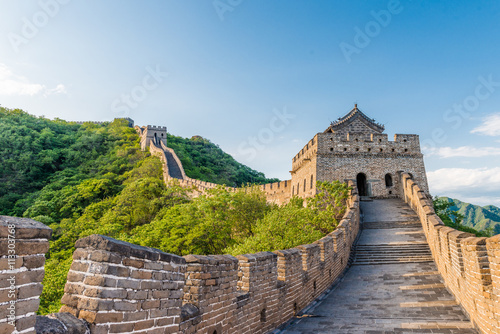 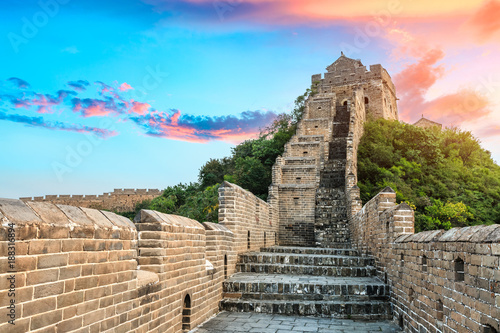 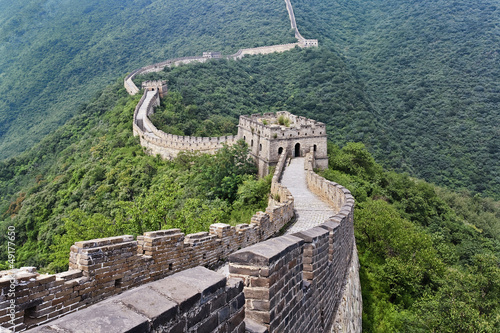 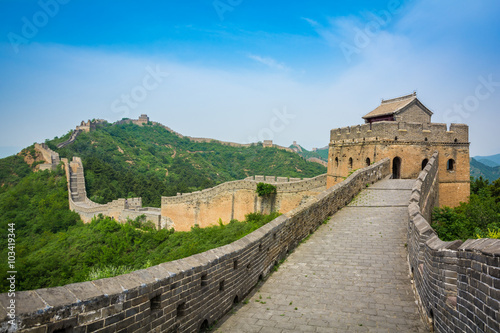 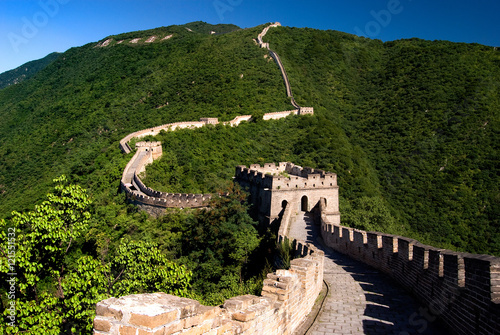 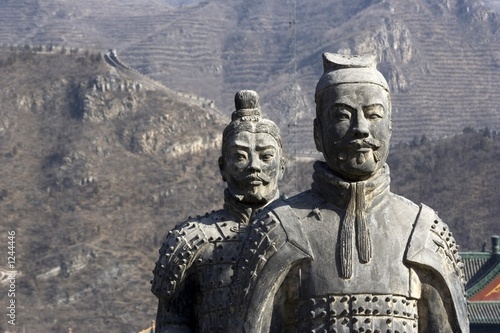 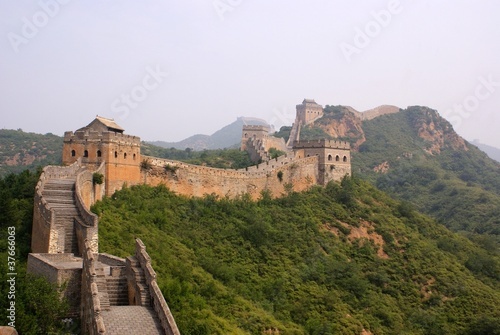 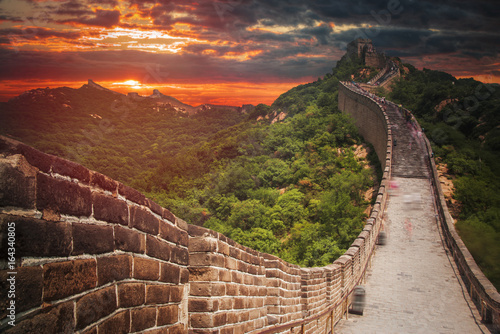 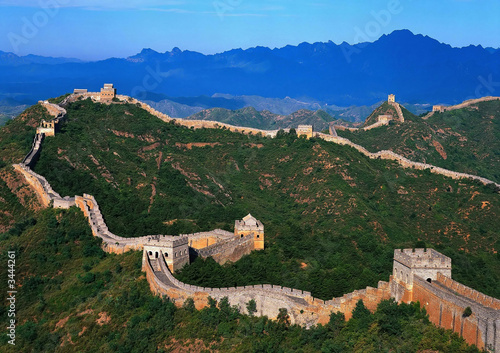 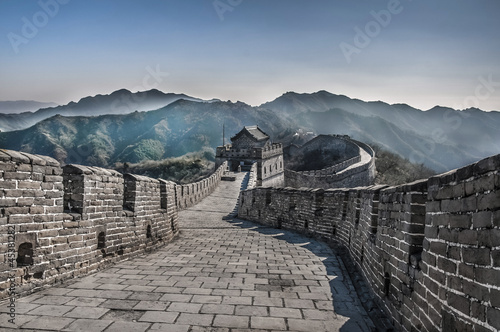 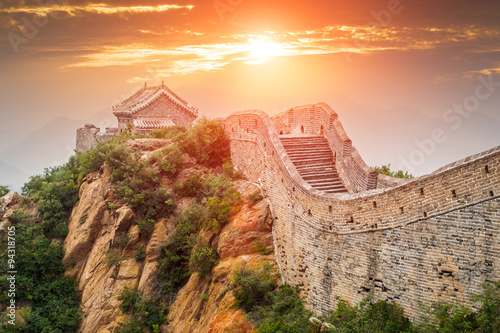 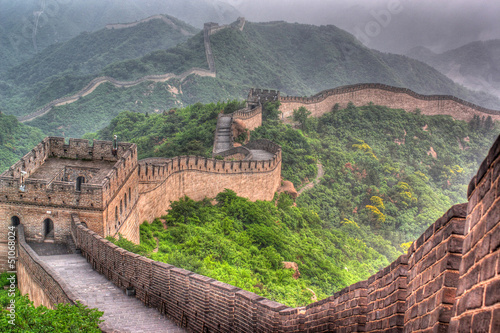 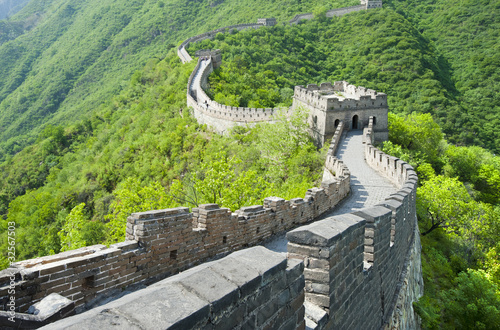 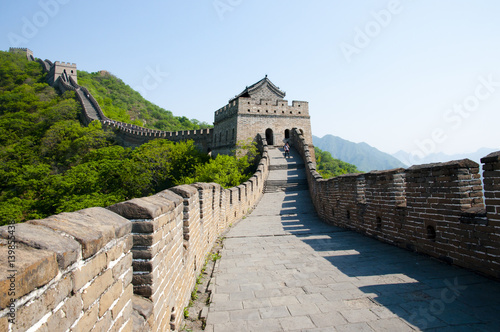 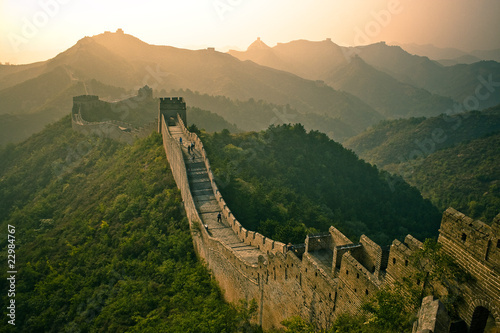 The Great wall of China: 7 wonder of the world.